Today on My Poetic Side, we bring you articles about this year’s Langston Hughes Community Poetry Reading, a Black History Month mural inspired by poetry, and finally, a blue plaque for a Swindon poet. 3rd February saw the community of Rhode Island gather in a celebration of Black History Month, which was combined with an event that was planned to honour the poet Langston Hughes. Hughes was not only a poet but also a social activist of the Harlem Renaissance. He wrote many collections of poetry, which discussed themes that were very relevant not only at the time but remain so today. The 24th Annual Langston Hughes Community Poetry Reading bought together a group of 53 readers. Each one performed a poem by the great poet. The group was made up of teachers, Hughes enthusiasts, artists and people from all walks of life with a connection to poetry or admiration for Hughes’ work. Some of the poems were performed to a backdrop of music, provided by the band who were there as part of the event. Others incorporated dance into their readings. 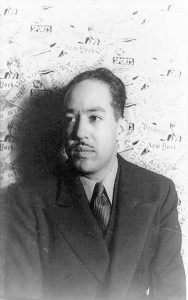 As a community, the people of Rhode Island are determined to keep the memory of Langston Hughes alive. 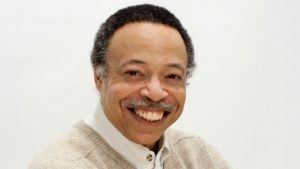 As part of Black History Month, a public school in Kingston created a mural inspired by the poem Roll Call, which was written by the poet George Elliott Clarke. Clarke, a former Canadian poet laureate, was invited to see the mural by the school. And, although he had seen photographs of it as a work in progress, his visit to the school was his first time seeing it in person. The class teacher was looking for inspiration when she remembered Elliot’s poem, which was written in 2017. She wanted something for the mural that would celebrate not only the heritage of some of the students in her class but also that of the Canadian people. The mural was unveiled for the first time in the autumn and contains around 700 names. The Richard Jefferies Museum in Swindon is hoping that there will soon be a new addition to their walls in the form of a shiny blue plaque. The thatched cottage where the poet was born is home to the museum, and has recently undergone some restoration work. 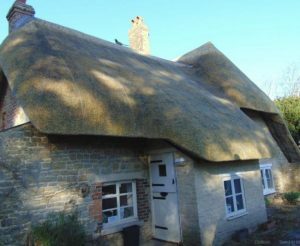 Swindon Borough Council have paid £30,000 to have it re-thatched. It is hoped that this will give the museum a good many more years as a tourist attraction. Jefferies is considered by many to be the finest writer from Swindon on the subjects of local history and nature. The plans are well underway for the blue plaque but, as yet, no date has been set for the unveiling.